This weekend was jam packed with gorgeous babies and loving families. I am very proud to report that every family took this opportunity to be photographed with their child. It's easy to be behind the camera with me. It's comfortable. But getting front of that camera - that is MAGICAL. 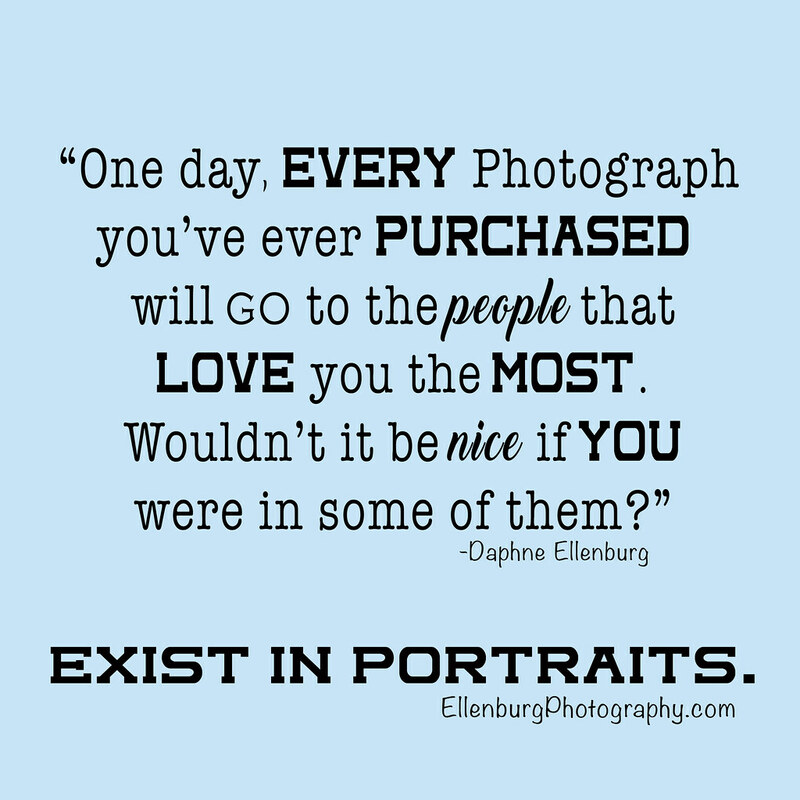 One day, every photograph you've ever purchased will go to the people that love you the most. Wouldn't it be nice to be in some of them? Trust me, they beg for all the ones with your beautiful face and wish and wish you had some more. I don't charge any extra to photograph Moms and Dads with their baby. Every session. Every time. It's a blessing to be photographed with your children. Don't miss out on the Magic. When you come back to view your portraits, and you see the most perfect portrait of your child looking up at you with more love than you could ever imagine - then you'll believe in the magic. Thank you to all the families that stepped in front of my camera today. Daphne Ellenburg is the owner of a bustling Portrait photography business called Ellenburg Photography located in Southern Alabama. Daphne has a supportive family and a fancy-pants NEW 2000 sq ft studio. She loves college football, big handbags, lip gloss and all things Apple. She also enjoys writing about her Photo-Adventures and her entertaining family. Daphne is a proud member of PPA, WPPI, BNI and the local chamber. Catch up with her at EllenburgPhotography.com or email her at daphne@ellenburgphotography.com.